Welcome to Great Lakes Security Services - outstanding security services Milwaukee clients trust. If you're in Metro Milwaukee, Suburban Milwaukee, or other surrounding areas and are in need of top-notch corporate and event security services you can trust, Great Lakes Security Services is the only name you need to remember. Here at Great Lakes Security Services, we specialize in providing exceptional security services for clients in need of superior security services at honest, fair costs. Our team of off-duty police officers ensures outstanding protection from all types of threats. We offer both armed security and unarmed security services depending on your needs. We provide free security assessment services to best determine the type of security that best suits your requirements. 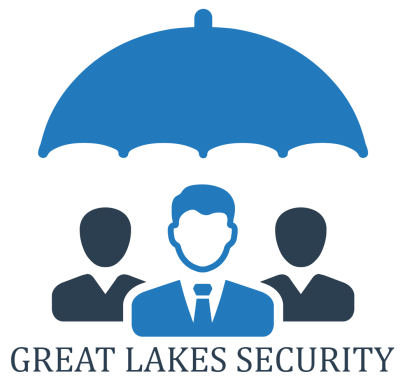 Here at Great Lakes Security Services, we are genuinely passionate about the services we provide and it shows in the level of personalized service we provide. For both foot and vehicle patrol. As an active police officer with over three decades of tried, tested, and proven excellence in the police force, the founder, and owner of Great Lakes Security Services sees to it that our team of security experts deliver nothing less than the standout security services our clients have come to love and expect from us since 2010. We look forward to hearing from you and providing you with the better security services you truly deserve!